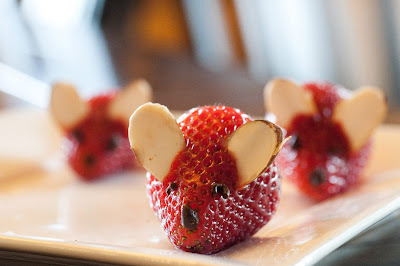 Idea for our strawberry mice obtained here. Are they not just TOO cute!? 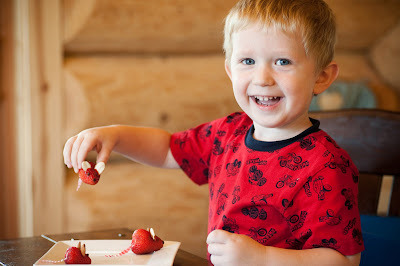 Those are really cute...and he looks like he's enjoying them! AWESOME!! These are adorable, definitely! Those are VERY cute! And so is your little helper! Love the pictures! 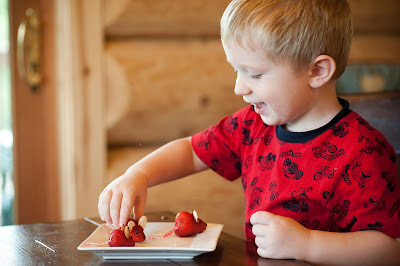 We're enjoying some strawberry concoctions this week too, but I haven't caught it on film... I need to be better about that. They are so cute! Great photos! Yes too cute! Good mommy day! oh my goodness!!! that is the sweetest little snack. they look awesome :O) i am sure he enjoyed them!!! thanks so much for stopping by and Happy WW!!! OMG, those are soooo scrumptiously darling! Adorable! the boy AND the mice!